Super Gems and Power Stars are hidden across each puzzling course you'll explore. 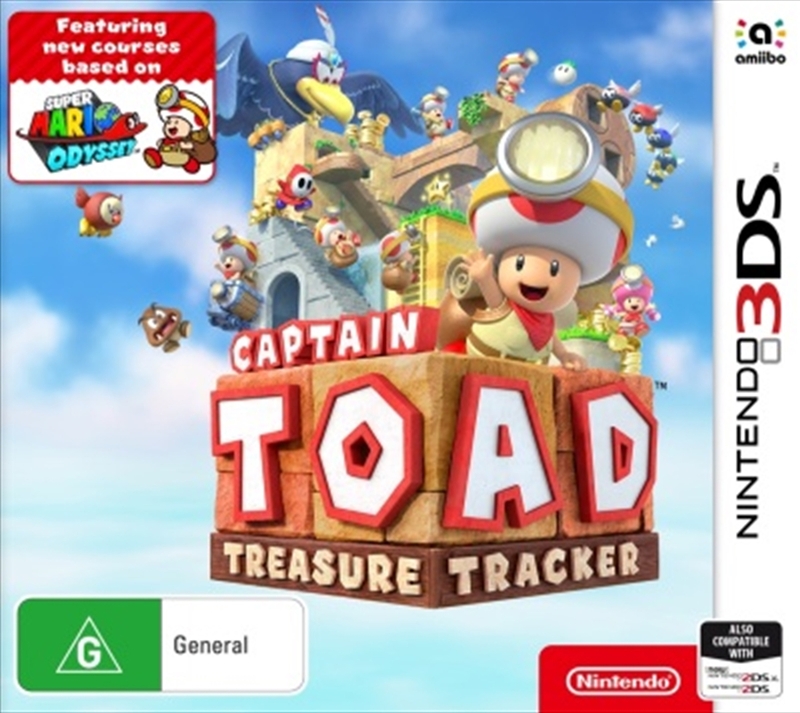 As you reclaim the treasure stolen by the monstrous, greedy bird, Wingo, you'll eventually be able to play as Toadette! These tiny heroes will have to waddle, hide, pluck, chuck, and power-up through enemy-infested locales like towers, wild-west shanties, and Goomba waterparks-all bursting with goodies to find and secrets to unearth. It's all in the name of treasure! Aim your head-mounted flashlight at adventure!